Harrisonville Fire Department has an interesting history from its humble beginning to the department that it is today. The first firefighting equipment was purchased in the City of Harrisonville on November 29, 1869. However, it wasn't until the south side of the square burned on February 5, 1900, that an actual Harrisonville Fire Department was organized. The city established a volunteer fire company in July, 1900, which operated until 1919 when the city began contracting with the local American Legion Post #42 to operate the department. Fire protection was provided in this capacity until 1987 when it was once again brought under the direction of the City of Harrisonville. From 1987 to 1996 the department remained volunteer, until lifestyle changes and more people seeking employment outside of Harrisonville required a change. Due to the increase in population, the number of calls for service was also on the increase, so in November, 1996, the City of Harrisonville hired four career fire fighters to provide ample staffing during the work week between the hours of 8 a.m. and 4:30 p.m. All other times reverted to volunteer coverage. In 2000, the City of Harrisonville hired its first full-time fire chief. Harrisonville Emergency Medical Services was established in 1971, and was operating as a separate division of the City of Harrisonville. HEMS began as a volunteer service with one ambulance and seven personnel, and evolved to a 24-hour in-station service that employed six full-time paramedics, 12 part-time paramedics, and 20 part-time EMTs. HEMS was one of the first Advanced Life Support Ambulance Services in Cass County. HEMS covered most of the southern half of Cass County including the communities of Peculiar, Freeman, East Lynne, Gunn City, Garden City, Archie, and Drexel. Harrisonville Emergency Management was established in 1977 and was under the direction of the Harrisonville Police Department. In 2000, the management of this division was transferred to the Harrisonville Fire Department upon hiring of the first full-time fire chief. The fire chief is also holds the title of emergency management director. This division is responsible for the Emergency Operations and Hazardous Mitigation Plans for the City of Harrisonville. Other duties include weather spotting and assisting on emergency scenes with crowd control and traffic direction. In 2007, the three divisions of the City of Harrisonville, the Fire Department, Emergency Medical Services, and the Emergency Management Agency consolidated services to create the Harrisonville Emergency Services. Initially, the staffing levels and times of coverage remained the same. Fire suppression staffing was from 8 a.m. to 4:30 p.m. and volunteers covered from 4:30 p.m. to 8 a.m. and on the weekends and holidays. EMS maintained a 24-hour on and 48-hour off schedule. Emergency Management personnel remained volunteer or on call basis. In April of 2009, the residents of the City of Harrisonville overwhelmingly passed a three-eight-cent public safety sales tax that was used for personnel in the Emergency Services Department and Harrisonville Police Department. This tax allowed the department to hire additional staff and provide 24-hour in station coverage for fire suppression. In June of 2009, the final stage of the consolidation was completed. The Harrisonville Emergency Services began providing 24/7 coverage with a minimum of seven staff members on duty. This coverage allows for the staffing of two paramedic ambulances (one firefighter / EMT and firefighter / paramedic) and one Engine Company (two firefighter / EMTs and one firefighter / paramedic). Staffing is currently a combination of full-time, part-time, and volunteers. The department staffs two advanced life support ambulances and an additional ambulance in reserve for a heavy call load. All personnel are crossed trained to be certified in fire suppression and emergency medical services. The line personnel are currently working a schedule known as a Modified Berkeley Schedule. They work 24 hours shifts from 7 a.m. to 7 a.m. the following day. Administration of the department is held by the emergency services director, more commonly known as fire chief. The ESD is responsible for the overall operations of the department, including the medical billing office. The department has to have medical direction to be licensed by the State of Missouri to operate an ambulance service. The medical director is a licensed physician with emergency medicine as an area of expertise. The medical director approves a set of medical protocols that allows the paramedics to function to provide emergency medical treatment. The medical director also reviews documents and sets standards for on scene treatment times. 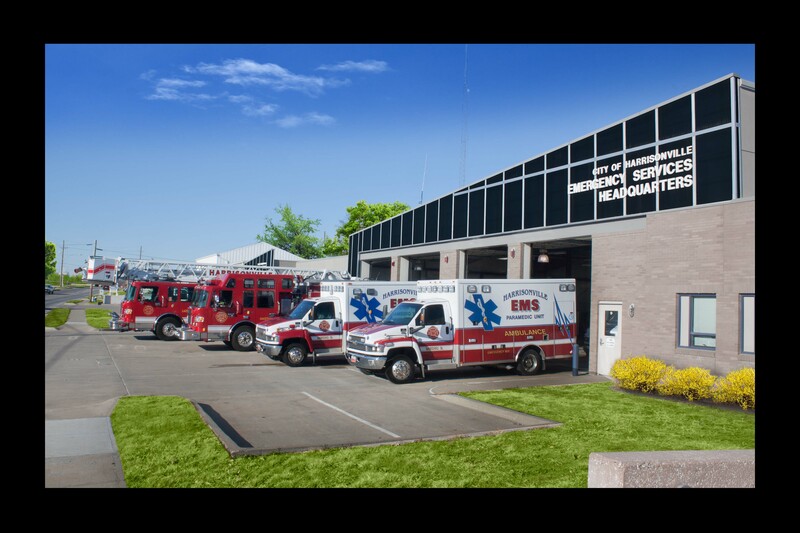 Harrisonville Emergency Services is the primary ambulance provider for Dolan - West Dolan Fire Protection District, East Lynne - Gunn City Fire Protection District, and Drexel Fire Association. This includes the communities of Freeman, Westline, East Lynne, and Gunn City, and Drexel. Harrisonville Emergency Services also provides ALS mutual aid to other communities in Cass County. As Harrisonville has grown, it has expected more and more services from this department. No longer is a fire department just expected to put out fires. To make sure we live up to the expectations of our residents, Harrisonville Emergency Services provides response to fire suppression incidents, hazardous materials responses, auto extrication, odor investigations, carbon monoxide detection, confined space rescue, and technical rescue operations. Another major component of services provided is public education. It is our belief that in order to be prepared for an incident you need to know what to expect and how to handle the incident. This is why we pass this information along to the citizens. City Hall was the original location of the fire department. In the 1970s the department relocated to 903 S. Commercial and was known as Station #2. In 2001, the facility was under renovation and additional space was added to move the EMS Department out of the basement of City Hall. The new facility houses both fire and EMS Departments. The new facility allows greater room for the equipment, staff area, sleeping quarters, and training areas for both staff and the public. The administration offices are located at the south end of the facility.